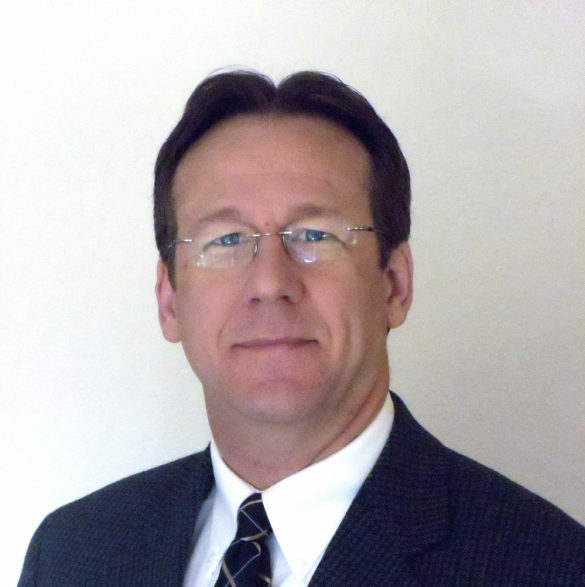 Dr. Dana J. Medlin, EAG’s medical device and corrosion expert, has over twenty-five years of experience in metallurgical, materials, and biomedical engineering consulting. He has testified internationally as an expert witness in cases involving medical devices, automotive, aerospace, heavy equipment, fire investigations, firearms, ammunition, and marine applications. His biomedical engineering experience includes medical device design and validation, FDA 510K submissions, implant failure analysis and serving as a medical device expert witness. He has evaluated metals used in orthopedic implants (hip implant failures, acetabular cup, knee implants, spinal implants), surgical tools, dental applications and more. Dr. Medlin also specializes in the design, performance and analysis of engineering materials and components used in a variety of industrial applications. As a metallurgical engineering expert, he has conducted national and international forensic investigations into bearing and gear investigations, welding metallurgy, corrosion evaluations and testing, mechanical testing, heat treatment issues and metallurgical related fire investigations. Dr. Medlin is a Fellow of ASM International, a distinguished honor in the field of metallurgical and materials science engineering. He is also a Technical Advisor Member of the Association of Firearm and Tool Mark Examiners (AFTE). He lectures and teaches seminars on many metallurgical and biomaterials engineering topics. Orthopedic Failures, Hip Implant Failures, Acetabular Cup, Knee Implants, Spinal Implants, Dental, Guidewires, Fixation Plates, Pedicle Screws, Cardiovascular Implants, Intramedullary Rods (IM Rods), Surgical Needle Failures, Surgical Instrument Failures, Braces, Wheelchair Failures, Explant Analysis, Retrieval Analysis, etc. Materials Characterization – Optical, SEM, TEM, XRD, etc. Bearing and Gear Failure Analysis – Aerospace, Automotive, Marine, Heavy Equipment, Railroads, Mechanical Systems, etc. Heat Treatment Issues – Annealing, Stress Relief, Carburizing, Nitriding, Quenching, etc. Welding Engineering – TIG, MIG, Alloys, etc. Metallurgy Expert – Carbon Steels, Alloy Steels, Titanium, Co/Cr Alloys, Cast Irons, Aluminum Alloys, etc. Mechanical Testing – Metal Fatigue, Torsion, Compression, Tensile, Stress Corrosion Cracking, etc.